Custom Printed Favor Boxes available in a large assortment of sizes. 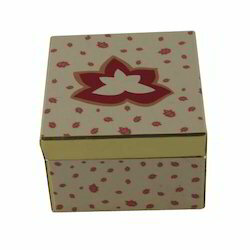 We manufacture a large range of Favor Boxes . Our Favor Boxes are available in a large assortment of patterns and designs. 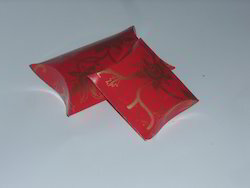 Our Favor Boxes are available with Ribbon Ties. Our Favor Boxes are available with custom Prints. As per the needs and requirements of our clients, we are involved in providing Paper Party Box. These beautiful boxes are covered with block printed cotton fabric ideal to gift photos, scented candles, handmade soaps!.The list is endless.Excellent choice for your Diwali and NewYear parties. theme party which is for 10 person or per person having 7 itemz .